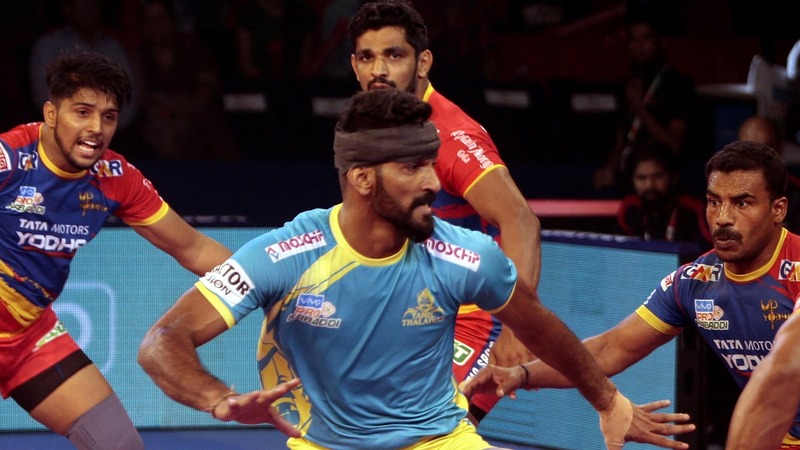 With the team trailing by four points and just over three minutes left in the contest, Gujarat Fortunegiants needed a big raid when coach Manpreet Singh summoned raider Mahendra Rajput off the bench to provide one. 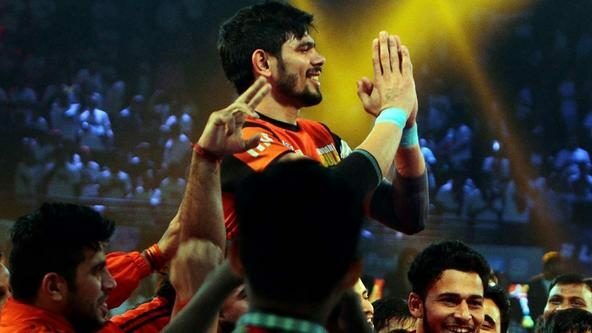 And the raider did not disappoint, as he managed to use his strength and reach to wipe out all five U Mumba men on the mat in the same raid to inflict an All-Out, adding seven points to his team’s score. Gujarat Fortunegiants held on to their lead and won the match 38-36. Rookie sensation Siddharth Desai has been a master of the Super Raid as well as the Do-Or-Die raid this campaign, ranking joint-first in the league in the former with 10 and second in the latter with 41 raid points. Against Haryana Steelers, with the scores tied at 13-13, Desai delivered what could arguably be his most impressive raid this campaign so far, managing to escape the clutches of four Haryana Steelers defenders in a Do-Or-Die situation, and getting his hand across the midline to inflict an All-Out which scored six points for his side. 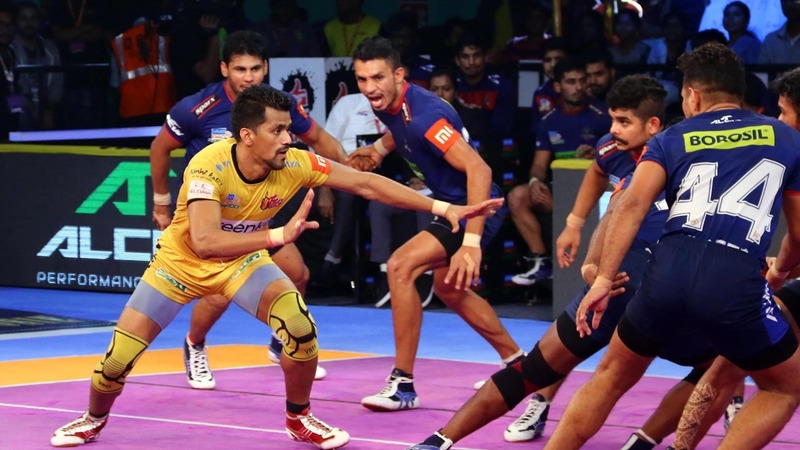 Desai finished the night with 15 raid points in a 42-32 victory for U Mumba. After being drafted in the starting seven against U.P. Yoddha, veteran raider Sukesh Hegde was tasked to raid in a Do-Or-Die situation with just three men on U.P. Yoddha’s side on the mat and, sensing the opportunity of a Super Tackle, U.P. 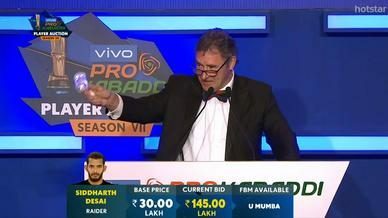 Yoddha’s Narender tried to get an Ankle Hold on the raider. 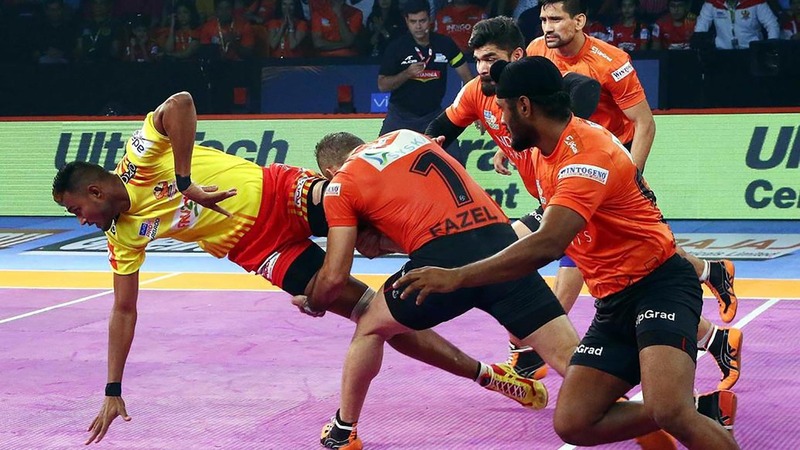 But Hegde smartly retracted his feet away from the defender, side-stepped an onrushing Jeeva Kumar and escaped another tackle attempt from Rishank Devadiga to inflict an All-Out on U.P. Yoddha and earn five points for his team. Tamil Thalaivas eventually won the match by a 22-point margin. 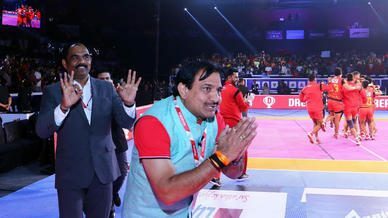 In their match against Jaipur Pink Panthers, Bengaluru Bulls were struggling to get going and trailed 13-6 with over seven minutes left in first half. Kashiling Adake came in to raid against a confident defence and his attempt to pinch a bonus was met by an Ankle Hold from Corner Sandeep Dhull. 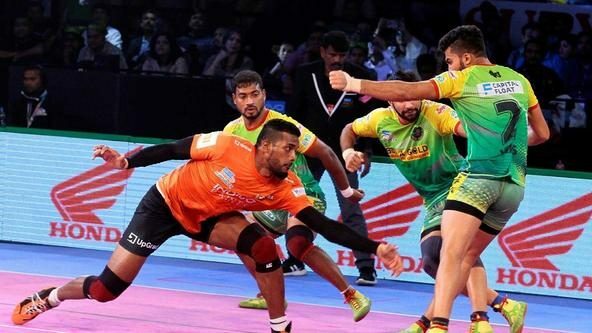 But the raider managed to shrug off Dhull’s clutches and made his way to the midline after overcoming another Ankle Hold attempt from Anup Kumar and a chain Dash from two other players, earning a bonus and four touch points in a single raid. Following Adake’s effort, Bengaluru Bulls quickly inflicted an All-Out and made good on their momentum to win the match 45-32. 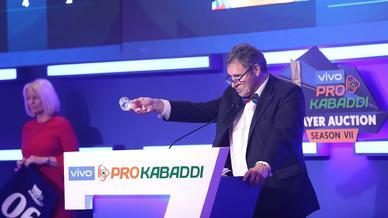 With a second left in the contest against Haryana Steelers, Telugu Titans led by a point but faced a Do-Or-Die situation, needing to score at least a point in order to secure a much-needed victory. Up stepped Nilesh Salunke and patiently trotted across the baulk line waiting for an opportunity to pinch a bonus. Before he could even attempt to score a bonus point, the Right Corner along with the Right In rushed towards the raider. But with an immaculate Dubki, Salunke found a way to beat the tackle and squeeze himself though a gap to get his hands across the midline, scoring a Super Raid and winning the match for his side.